Our volunteers and members have planted, weeded, watered and monitored in the name of species and/or habitat preservation. Check out the impact you can have if you get involved – see our map of projects below! SFN helped to identify this land and partnered with Ducks Unlimited and St. Clair Region Conservation Authority to fundraise in order to protect and restore this wetland. Sydenham Field Naturalists maintain and care for this garden. SFN have planted native plants in this demonstration plot to give the public a feel for what plants are native to this Carolinian region and encourage people to buy local native plants! Note that Sycamore Woods is not open to the general public and specific permission is required to access this property. SFN have planted native plants and maintained trails in Sycamore Woods. Sydenham Field Naturalists are the stewards of this property which is owned by the municipality. Sydenham Field Naturalists donated to provide financial support to this Nature Conservancy of Canada project which is now owned by MNR / Ontario Parks and designated an Ontario Park. SFN also helped with pit-and-mound work planting at this property. 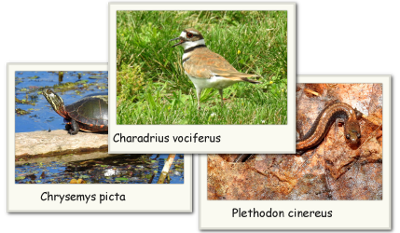 Sydenham Field Naturalists donated to provide financial support to this Lambton Wildlife / Nature Conservancy of Canada NCC / Ministry Natural Resources / Ontario Parks project. SFN maintains wood duck boxes here. This property is owned by MNR (publicly accessible). It is not a nature reserve it is multi-use property. Sydenham Field Naturalists donated to provide financial support to this Thames Talbot Land Trust property. Publicly accessible. SFN identified this property and the Reid family donated this to the St Clair Region Conservation Authority. This property is owned by SCRCA and is publicly accessible. SFN has conducted biological inventory work here and maintains wood duck boxes at this property. SFN 100 acres – front 50 crop land and back 50 forest. Ducks Unlimited put in 4-5 large ponds in front 50 acres and the remainder of the 50 acres was put into prairie. SFN stewards this property. SFN maintains wood duck boxes here. Sydenham Field Naturalists donated to provide financial support to this Lambton Wildlife property. Publicly accessible. 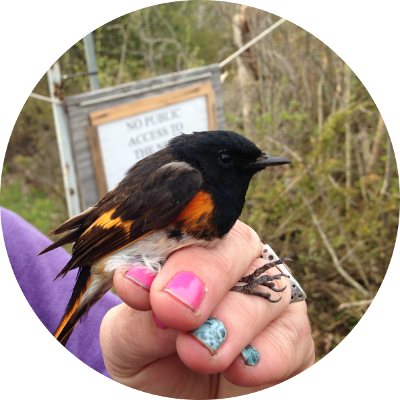 SFN initiated this bird count in the late 1980’s and our members organize and participate in this Christmas Bird Count each year. SFN initiated the initial 1 acre prairie planting in the late 1990’s and has maintained this planting every year. It was expanded along the entire corridor and maintained by Rural Lambton Stewardship Network (now Ontario Nativescape) into the Prairie Passage. Over 100 boxes along a bluebird trail in the late 1980’s until mid 2000’s when fields in Sombra township were pasture; the fields have since been developed into crop land. SFN members have participated in gathering data for the latest Atlas of Breeding Birds of Ontario.